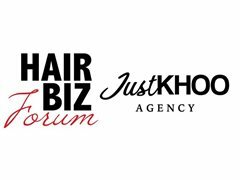 We are casting for Hairbiz Forum 2019 and we are looking for hair models from style only to cut and colour and we want to hear from you! Please find below all roles and we look forward to possibly working with you at this amazing event coming up on the Gold Coast! We are looking for female's who have long, healthy hair and are above 173cm for the runway show. We are looking for males and females who are open to an edgy cut and colour to stand out! No height requirement for this role. We are looking for female's who are open to a colour in their hair. Please specify when applying what you are open to.